The body of a Bayfield man was removed from this house early Friday morning as it was burning. The man has not yet been identified, and the house is a complete loss. An area around the house was still smoldering on Friday afternoon. 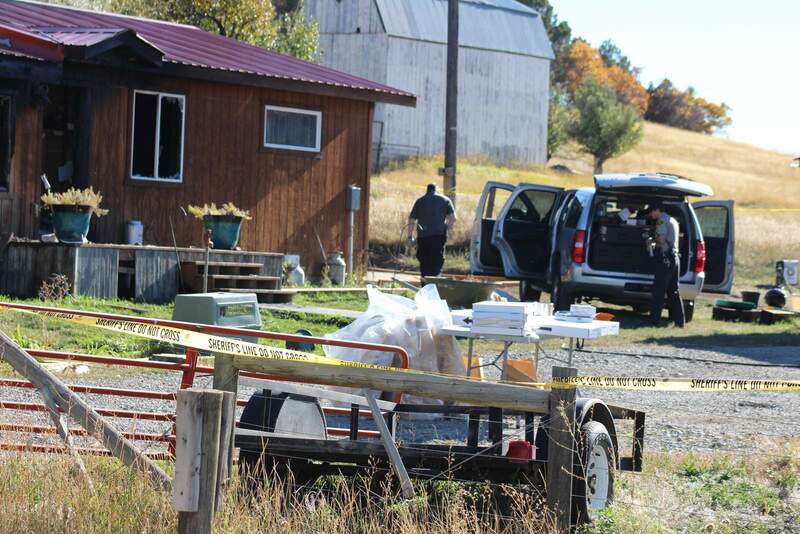 Staff from the La Plata County Sheriff’s Office and Colorado Bureau of Investigation are investigating the death of a Bayfield man. Firefighters removed his body shortly after they arrived to fight a fire at his home early Friday morning. A man was found dead inside his house that was on fire early Friday morning in Bayfield. 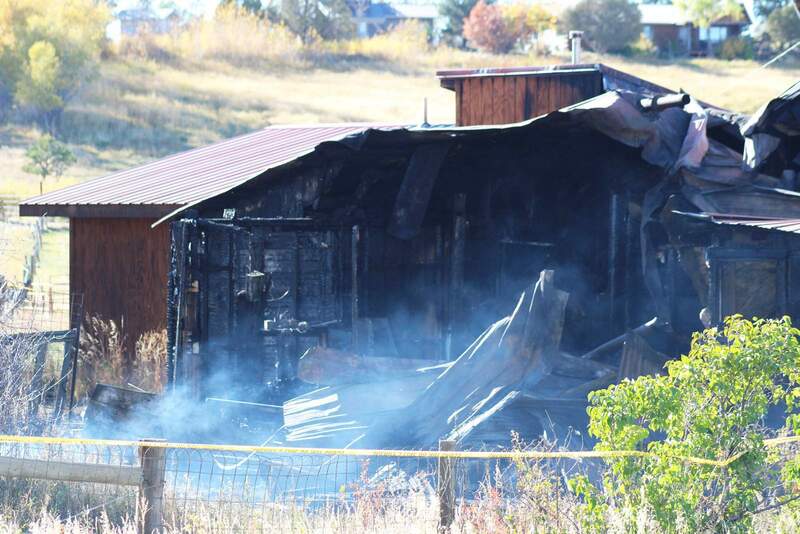 The Colorado Bureau of Investigation was at the home on County Road 516 and Bayfield Parkway on Friday to investigate the death, said Bruce Evans, chief of the Upper Pine River Fire Protection District. A male estimated to be 50 years old was found inside the house with a gunshot wound. He did not have a pulse and was not breathing. Rescuers pulled him from the house, but he was unable to be resuscitated, Evans said in a news release. The identity of the man has not been released by CBI or Upper Pine. Upper Pine received the call at 12:36 a.m. Friday. A fire truck was at the house in eight minutes, but there was already heavy smoke and fire in the residence. The fire took 19 firefighters and 12 fire trucks to extinguish, and units from Los Pinos Fire District and the Durango Fire Protection District also responded. The cause of the fire had not yet been determined.